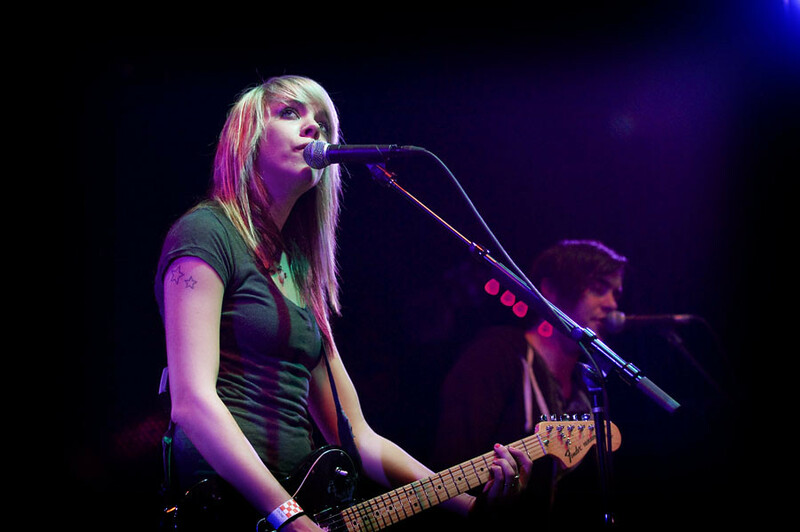 Kristin Kearns of Darling Parade performs at Key Club in Los Angeles. I have to admit. My knowledge of music in Nashville is country music. So living in L.A. most of my life, when I first learned that Darling Parade originated from Nashville Tennessee, I expected to hear some type of country music. Darling Parade is anything but that. This power-pop foursome has a sharp, edginess fusing rock with a touch of pop. 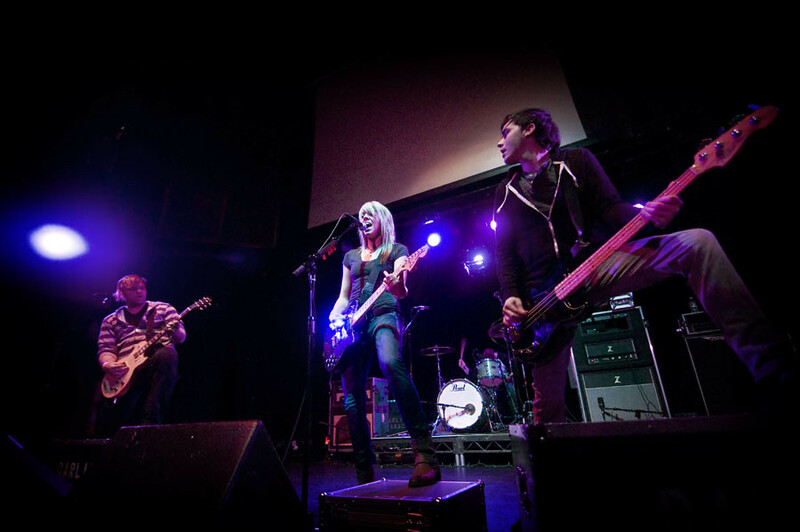 Darling Parade is currently on tour supporting Cassadee Pope's first solo tour. Last week, in a lineup that showcased acoustic singer-songwriters, they peformed at the Key Club as the only musicians to plug in and pl ay loud. Glowing alt-rock arrangements drives Darling Parade with rough-weathered harmonies by front-woman Kristin Kearns backed up by Adam Hatfield (Guitar), Nate McCoy (Bass) and Casey Conrad (Drums). In the short amount of time they've been playing together, Darling Parade has already amassed an impressive resume, releasing three EP's and having their songs featured on television shows on ABC, CW, MTV and the SyFy channel. Their latest single, "Remember" featuring Stephen Christian of Anberlin just hit number 1 on ReverbNation's Top Rock Artists Chart in Nashville. And their latetest EP Until We Say It's Over, released in November peaked at #8 on Billboard's "Next Big Sound" chart - all this while they continue to wow audiences across the country with their live electrifying live shows. Their next stop is Feb. 12th in Pittsburgh and continues through the end of the month in Fort Lauderdale, Florida. on February 24th. Check out their official site www.darlingparade.com to see the other dates on their tour right HERE.